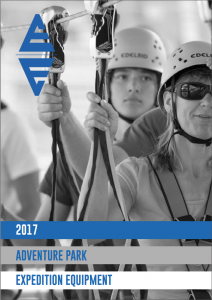 Our 2017 Adventure Park Workbook details Edelrid’s Adventure Park range including Smart Belay system, ropes course specific harnesses and helmets. It also includes all the other equipment needed to for the workspace. This entry was posted in Edelrid, LATEST NEWS, Resources, Workbooks and tagged adventure park, DMM iD, edelrid, resources, workbooks. Bookmark the permalink.